Background/Purpose: CD40 and CD40L (CD154) are tumor necrosis factor (TNF) family members involved in the pathogenesis of various autoimmune diseases. While this pathway is active in established RA, its activity and potential role in early disease pathogenesis is unknown. Methods: RNA-seq analysis was used to identify the expression of CD40 and CD40LG in synovial tissue biopsies from various stages (seropositive arthralgia, undifferentiated arthritis, early RA and established RA) during the progression of RA. Gene Set Variation Analysis (GSVA) was used to determine if CD40-CD40L signaling is active in the biopsies, using human immature dendritic (iDC) and B cell genes induced by soluble CD40L as reference sets. Results: CD40LG and the active full-length CD40 isoform were increased in synovial tissue biopsies from early RA, established RA, and undifferentiated arthritis cohorts in comparison to healthy donors. In contrast, levels of the dominant-negative truncated CD40 isoform were reduced in the same synovial tissue samples. Transcriptome characterization of soluble CD40L (sCD40L)-stimulated human iDCs identified GPR120 and KDM6B as novel potential targets involved in CD40-CD40L signaling. We also compared sCD40L transcriptional profiles in iDC and naïve B cells and found that different set of genes respond to sCD40L stimulation in these two cell types. Finally, using GSVA we found that CD40L-responsive genes in B cells and iDC are significantly enriched in synovial tissue mRNA from early RA, established RA and undifferentiated arthritis patients. Conclusion: The CD40-CD40L pathway is activated in the early stages of RA, and agents inhibiting this pathway may bw effective in established RA, early RA, and undifferentiated arthritis. Disclosure: Y. Guo, Johnson & Johnson, 1,Johnson & Johnson, 3; A. Walsh, Johnson & Johnson, 3; U. Fearon, None; M. D. Smith, None; M. D. Wechalekar, Johnson & Johnson, 2; X. Yin, Johnson & Johnson, 1,Johnson & Johnson, 3; S. Cole, Johnson & Johnson, 3; C. Orr, None; T. McGarry, None; M. Canavan, None; S. Kelly, None; C. Pitzalis, Abbot/Abbvie, Astellas, Astra-Zeneca/MedImmune, BMS, Celgene, Grunenthal, GSK, Janssen/JNJ, MSD, Pfizer, Sanofi, Roche/Genetech/Chugai, UCB, 2; T. A. Lin, Johnson & Johnson, 3; X. Liu, Johnson & Johnson, 3; S. Proudman, None; D. J. Veale, None; S. Nagpal, Johnson & Johnson, 1,Johnson & Johnson, 3. Guo Y, Walsh A, Fearon U, Smith MD, Wechalekar MD, Yin X, Cole S, Orr C, McGarry T, Canavan M, Kelly S, Pitzalis C, Lin TA, Liu X, Proudman S, Veale DJ, Nagpal S. Gene Enrichment Analysis Identifies Active CD40-CD40L Signaling in Early and Established Rheumatoid Arthritis [abstract]. Arthritis Rheumatol. 2016; 68 (suppl 10). 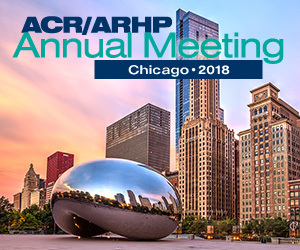 https://acrabstracts.org/abstract/gene-enrichment-analysis-identifies-active-cd40-cd40l-signaling-in-early-and-established-rheumatoid-arthritis/. Accessed April 21, 2019.